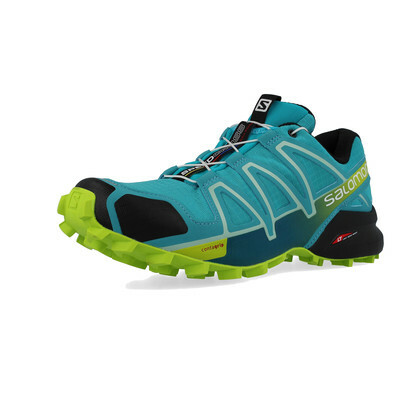 "Have always used this brand for fell running, cheaper here than anywhere else, fast delivery, great quality!" 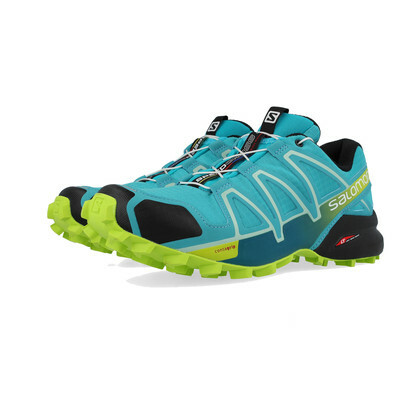 "Great trail shoes. Really comfortable. Love the colour." 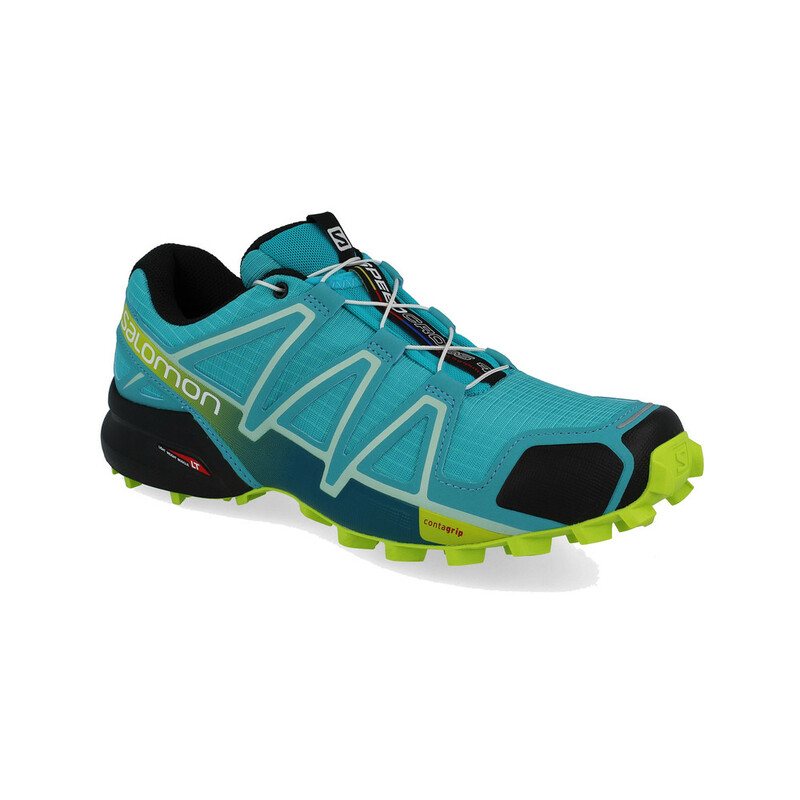 The lightweight material that covers the top of the shoe helps to maintain the overall low weight of the shoe. In addition to this, it is highly breathable, which allows a steady airflow in and out of the shoe. This works to keep the feet feeling fresh and cool whilst working hard on the trail. Towards the front, there is a thicker piece of material covering the toes. This offers protection from potential bumps and stubbings of the forefoot. Easy to lace and find the right fit, the laces run all the way up the foot and can be secured and fastened with ease. The tongue and ankle collar are padded, meaning that it will prevent rubbing causing discomfort. Support is offered to the heel, with strong sides making sure that it is held in a stable and upright position. The shoe has supreme cushioning, largely down to the EVA midsole. Shock absorbing, bumps and knocks underfoot are quickly engulfed before they reach the foot. This makes running on uneven trails feel no different to smooth paths, giving you the confidence to tackle any ground. 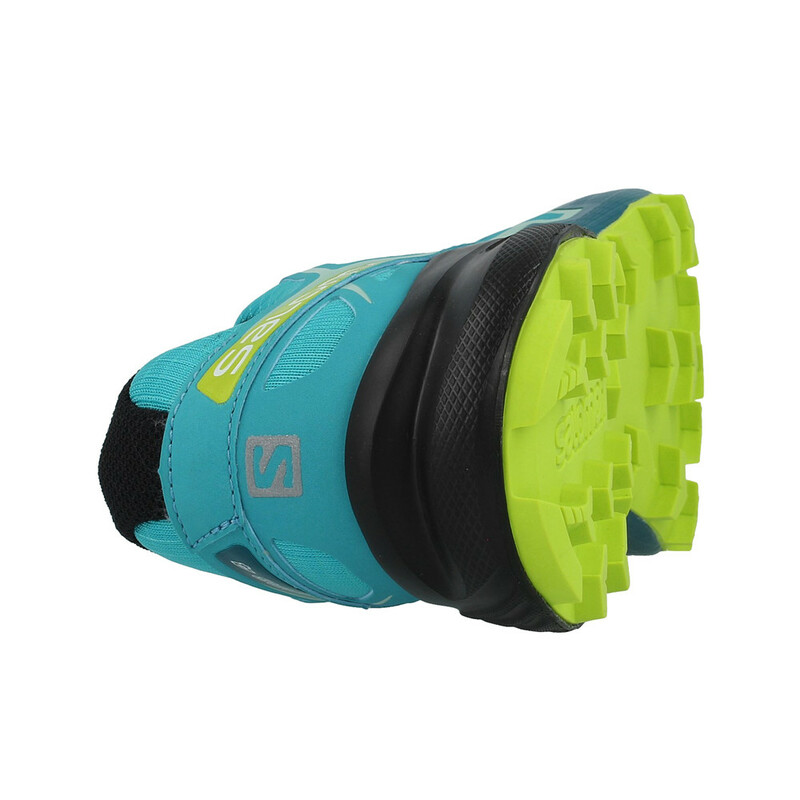 As well as absorbing the bumps, the midsole transfers the energy into rebound, giving you assistance in every step. Within the shoe, the soft moulded sock liner in time shapes to any foot that regularly uses it, increasing comfort and familiarity. Using Solomon's Sensifit, the foot is kept stable and securely held into position. 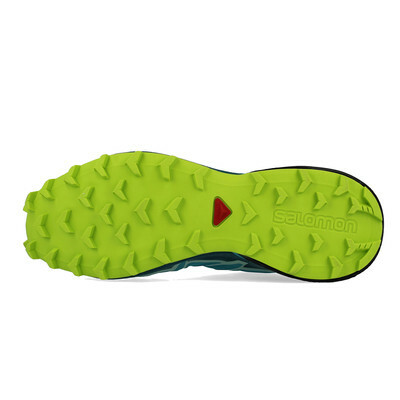 Using the premium Wet Traction Contagrip, Salomon's outsole uses durable rubber that has a strong grip on all surfaces. The deep lugs dig into surfaces, especially wet and muddy ones, anchoring the shoe into place. This makes control a lot easier, as well as assisting with takeoffs, braking and changes of direction. 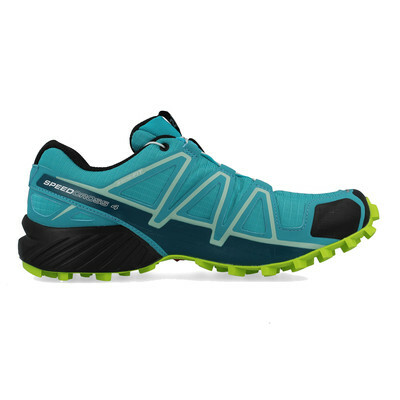 Lightweight Material Overall shoe weight is kept low with the lightweight upper. Ventilated Airflow in and out of the shoe is controlled to keep the feet cool. Toe Guard Thicker material protects the toes. Easy to Lace Quick and secure lacing system for a quick fasten. 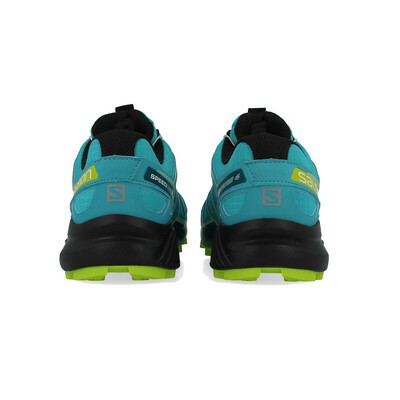 Padded Tongue and Ankle Collar Prevents rub and chafing from the shoe. Heel Support Thick material offers the heel support and stability. EVA Midsole Shock absorbent midsole protects from bumps underfoot. Energy Transfer Responsive midsole provides rebound for an extra spring. Soft Sock Liner Gentle cushioning felt underfoot. Sensifit The foot is held into place to stop it from moving in the shoe. 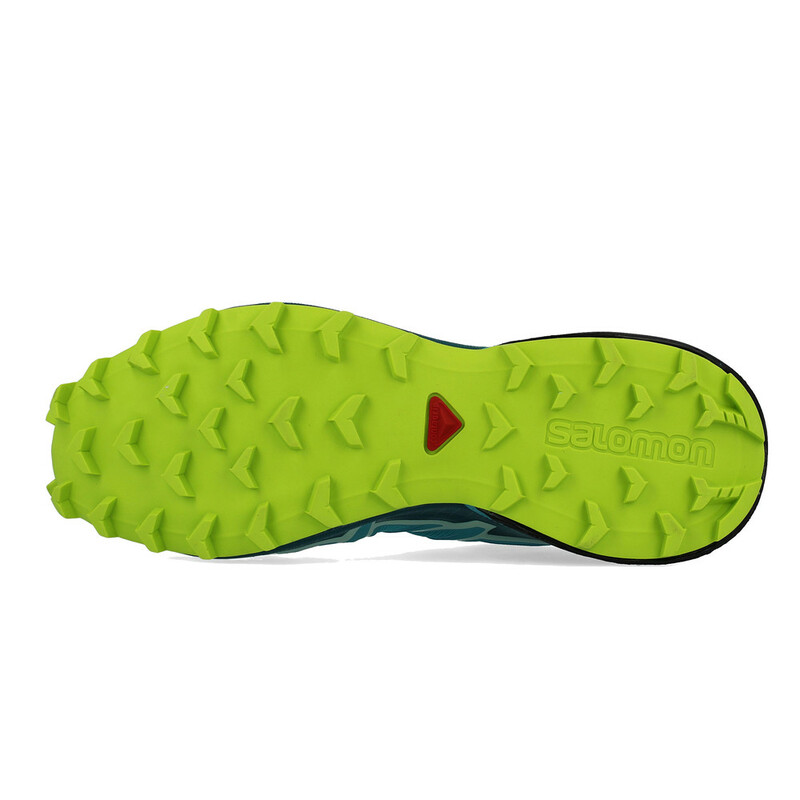 Wet Traction Contagrip Durable rubber outsole with strong grip and hold on any surfaces. Deep Lugs The lugs dig into surfaces to anchor the shoe into place.